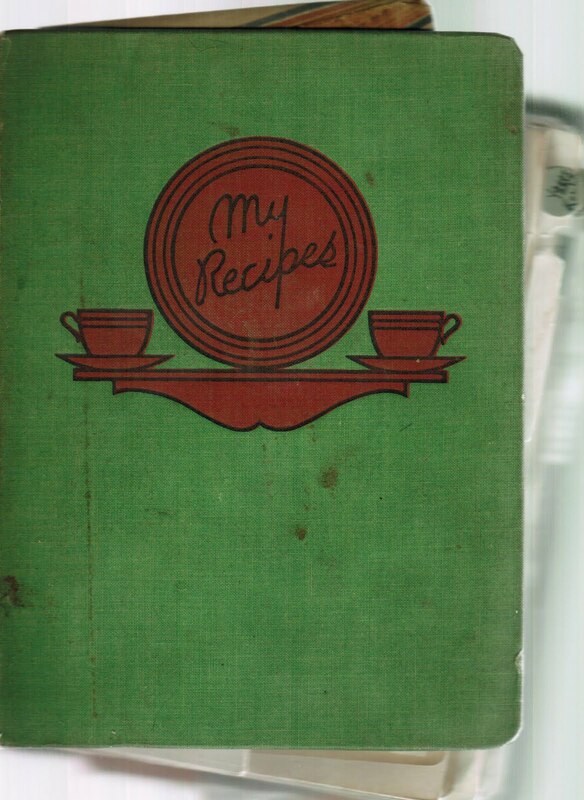 This is what I look for at garage sales or book sales – someone’s personal notebook filled with their favorite family recipes, or yellowed old clippings from newspapers and magazines. Then I wonder, how did this person’s family let this treasure go? Or maybe they lost it, and are looking for it right this moment to find their mom’s favorite family recipe, and are in agony that it is gone from their possession. Whenever I find one of these personal cookbooks, I always make a promise to myself to remember how much someone loved it, and to always take care of it. After all, when a book is stuffed 4-inches thick with carefully handwritten and clipped recipes, you know there is something special inside. 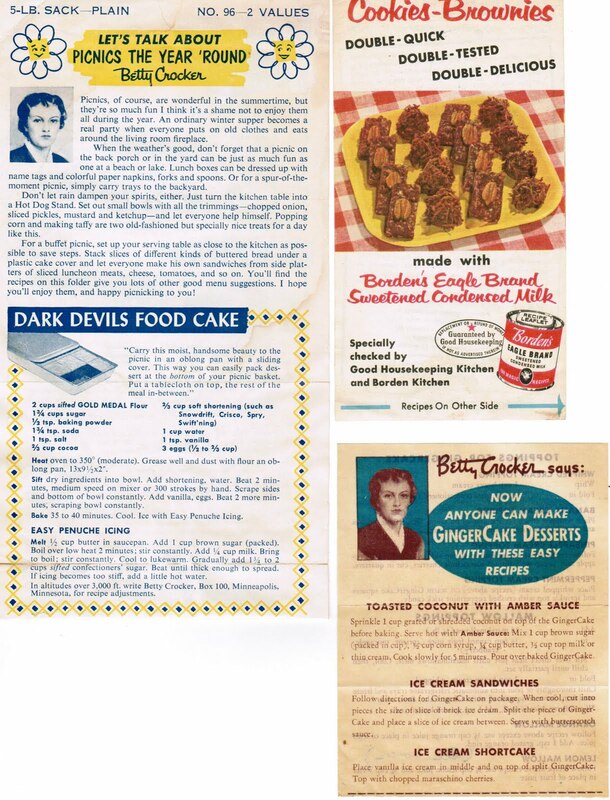 One of my readers, Amy, wrote to me and said how she found shoe boxes filled with recipes at her local flea market. What a find! Lucky Amy. Here are just a few of the old clippings in the book. 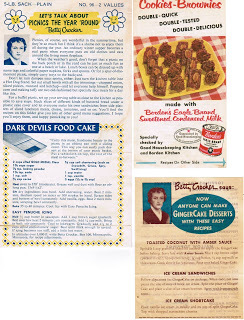 Look at the old Betty Crocker- Betty has had a few looks over the years! I did not find this particular book at a sale. It was given to me by a local woman named Geraldine, who one day called and asked if I would like some of her old cookbooks. It seemed she was very ill, had no children, and didn’t know what to do with her collection of cookbooks. Geraldine had seen my name in the local paper about cooking contests, and figured I was someone who would appreciate and love her books. She was certainly correct on that point. I happily drove to her home and she welcomed me with some homemade apple strudel. I knew this was someone after my own heart! As it turned out, we had similar tastes in cookbooks, because I already had much of what was in her collection, but I did take the ones I did not have, including her personal book of “My Recipes.” Geraldine had many books on quantity cooking because she was a lunch supervisor at a local high school for over 30 years. She was clearly someone who had loved cooking and food all her life. If you have a relative who is a special cook, especially one older in years, make it a point to ask for family recipes before it’s too late. So many cooks only have recipes in their head with nothing written down. When one of my husband’s older relatives taught me to make her Finnish pasty, she had no written recipe. I fondly remember being in her kitchen and watching her make her famous pasty and grabbing cups and spoons to measure out what she had just thrown into a bowl. I can still hear her infectious laughter at our process, along with some family history spoken of here and there during our cooking. Those are precious memories to have, plus the joy of presenting generations-old dishes to your grateful family.